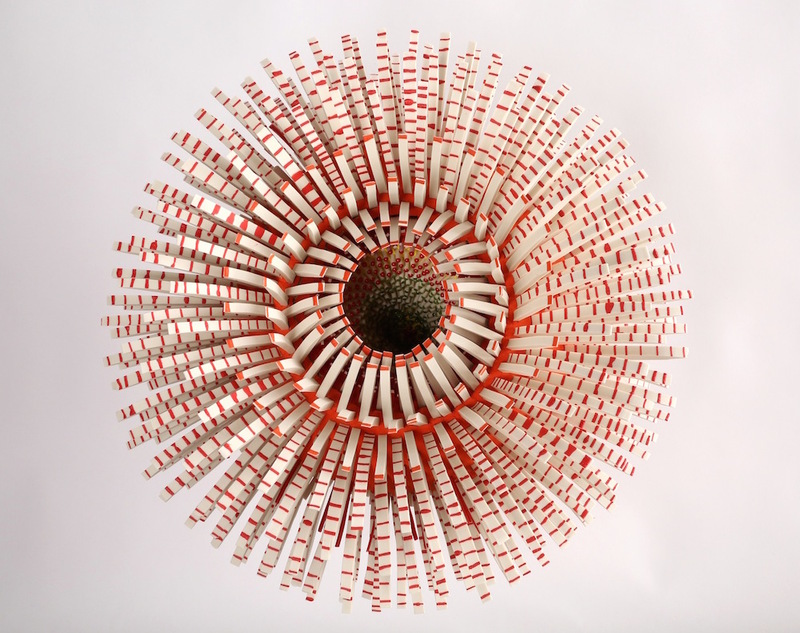 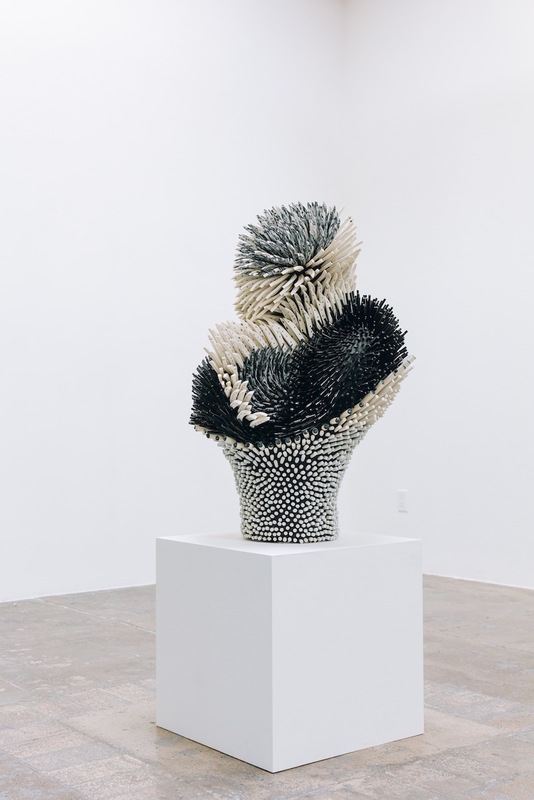 Using thousands of handcrafted porcelain shards, Israeli born artist Zemer Peled (previously here and here) produces large-scale sculptures that are densely textured. 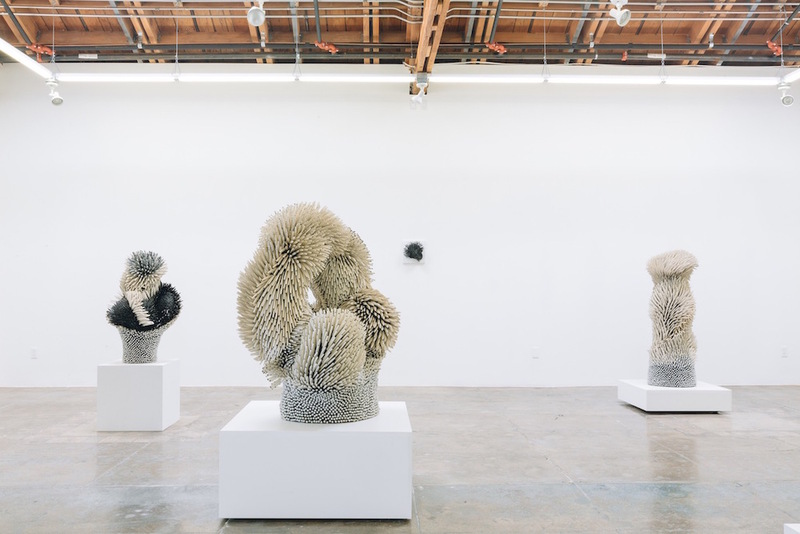 The works change depending on one’s stance, at once looking as if they are made with soft feathers or sharp spines. 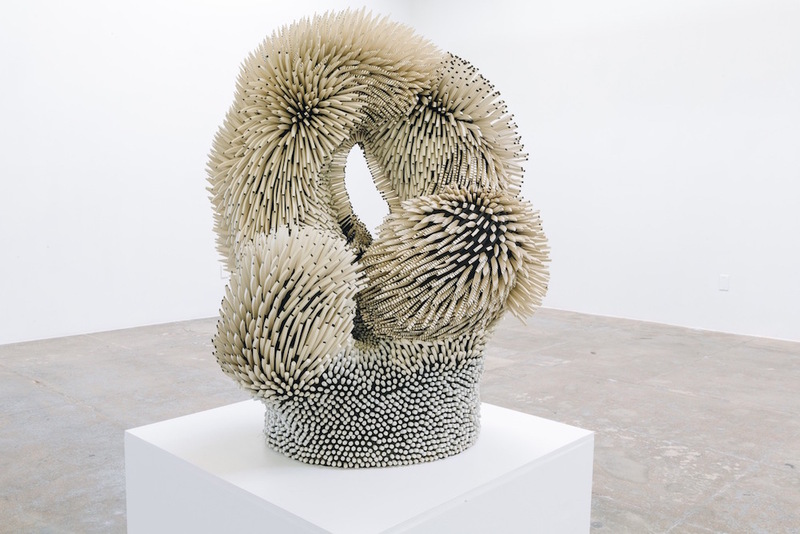 In either circumstance the pieces reflect the natural world, imitating swirling wind patterns or rolling planes of grass.